The photo id for this photograph is 189, in the Public Houses album. 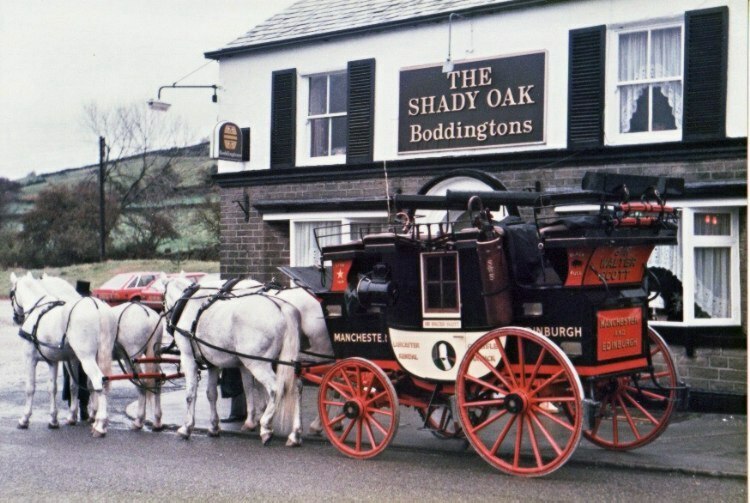 I seem to remember this was a party travelling from Buxton to Disley and they called at the Shady to water the horses. I think it was something to do with Louise and George Potter who kept the Old Hall at the time.